Shane Raymond’s training is military-grade. Try his workout program and transform your physique! Shane Raymond is an athlete and soldier, and his training is military-grade. Follow his intense training regimen and see if you have the strength to survive. You'll have to give the workouts everything you've got, or we guarantee you'll get whipped. "As a bodybuilder, I don't look at training as just bodybuilding exercises," Shane says. 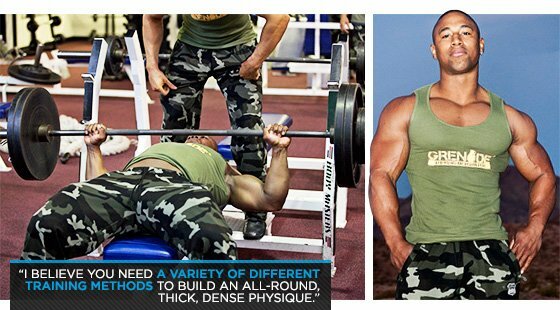 "I incorporate many training methods such as powerlifting, high-volume training, and pre-exhaust on a weekly rotational basis. "Each week of my training is different and I believe you need a variety of different training methods to build an all-round, thick, dense physique." Shane typically follows a two-days-on, one-day-off training split.